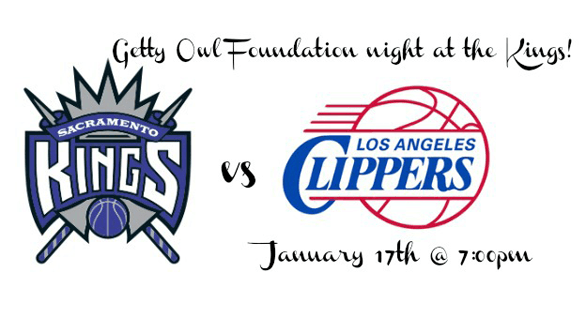 Come join us for our 2nd Annual Getty Owl Foundation Night at the Sacramento Kings. Orders of 4 or more, $30 each. Tickets also give you the ability to watch each team warm up before the game!